I have a few diy’s that I’m hoping to share on the blog in time for making Christmas gifts. 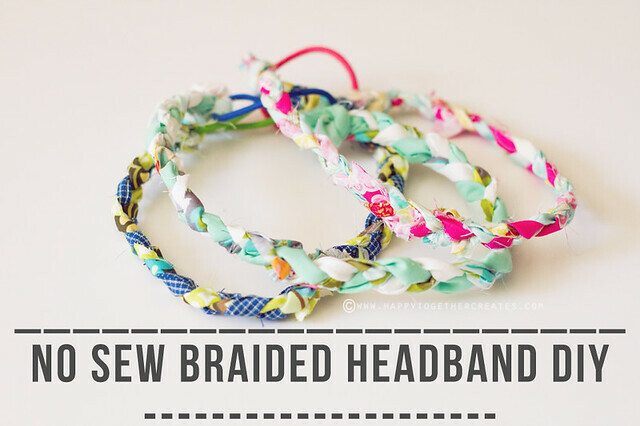 This is one that is really simple, requires few materials, and can be made without sewing! Of course, you could sew certain parts if you are a sewer and want to, but it’s totally optional. First of all, start with measuring your head where a headband would sit. If you don’t have a measuring tape or you are making them as gifts, you can use my measurements. Since they are stretchy from the elastic, it should fit most adult heads. I will also share my girls head measurements. Just know, Miss E (the 2 year old), has a big head. It’s always in the 98% for head sizes her age. So if making one for a toddler you might want to consider that 😉 lol. Mine was 23.5″. Miss J (my 6 year old) was 20″ and miss E was 18″. 1. 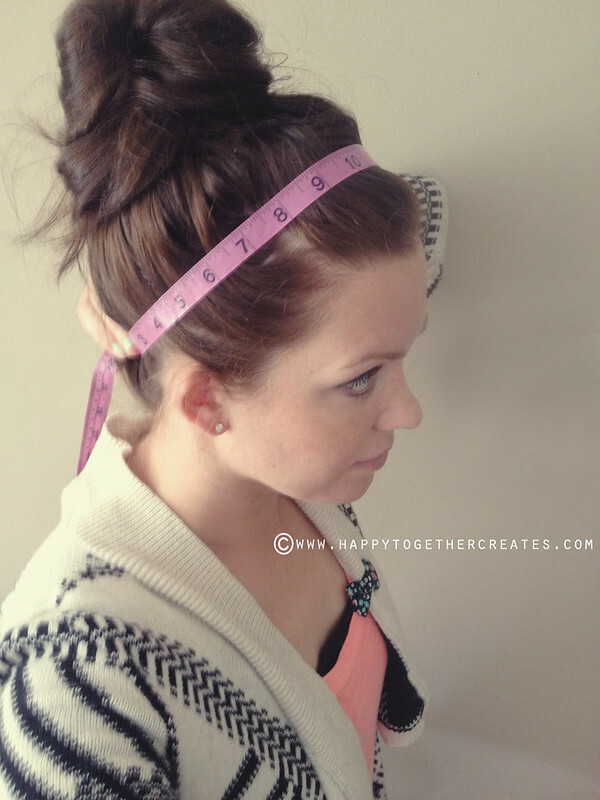 You want to cut at least 3 strips that are double the length of your head measurement and about 1″ wide. You can make the width larger or smaller depending on what you want. I made the ones on mine a little bigger so it would be thicker. If you don’t have super long pieces of fabric, you can tie them together (or sew them together). 2. Place all three strips together and loop through an elastic. Leave enough to knot the fabric two times. There will be some extra fabric on the end, but we will take care of that later. 3. Start to braid as close as possible to the knot. Make it loose or tight, however you like. I prefered mine on the tighter side. Don’t worry if you tied any pieces together and they are sticking out at this point. Some might get braided in though. 4. Braid until the braid and the length of the elastic ponytail holder is equal to the head measurement you took earlier. My elastics weren’t too stretchy, so this worked perfectly. 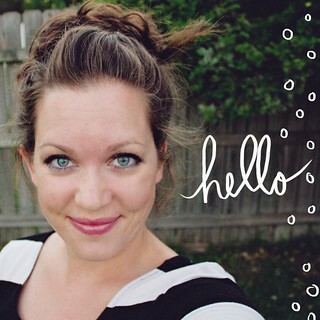 If yours has a lot of stretch, test it on your head and see if you want the braid shorter. 5. There will be enough fabric on the end to loop through the elastic and knot two times on that end. Trim any pieces sticking out. 6. Use glue to help secure knots in place. Make sure it is dry before putting on head. 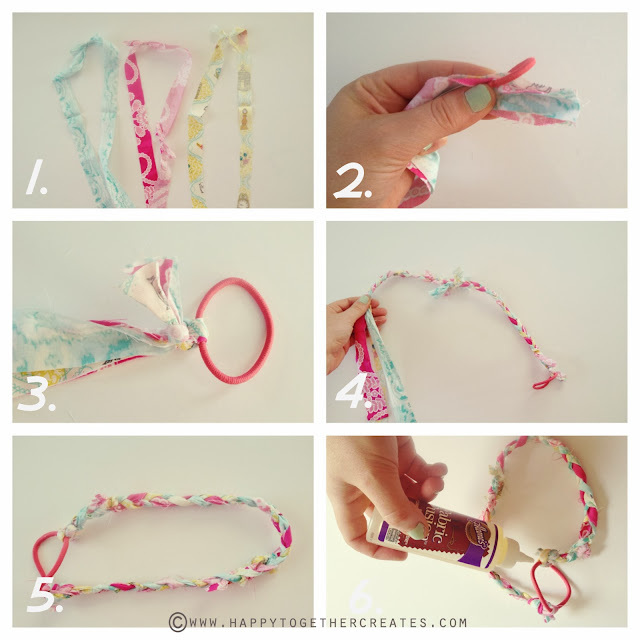 *Instead of knotting fabric on, you can simple fold the fabrics over the elastics and sew them there. They are super cute Jess! 🙂 I think I will have to make a few myself. I’m also curious about the bow on your top… is it a brooch, or a clip? And did you make it? Why thank you 🙂 The bow is actually one of the girls hair clips lol. I snapped in on so I wouldn’t lose it and then kept it on because I thought it looked cute 🙂 It’s from Target. Thank you for letting me know! It was showing up in firefox but not other browsers, so I just uploaded the pic myself instead of using flickr 🙂 You should be able to see it now. LOVE these! So cute! The headbands as well as you three adorable models. Thanks for the tutorial! So cute!